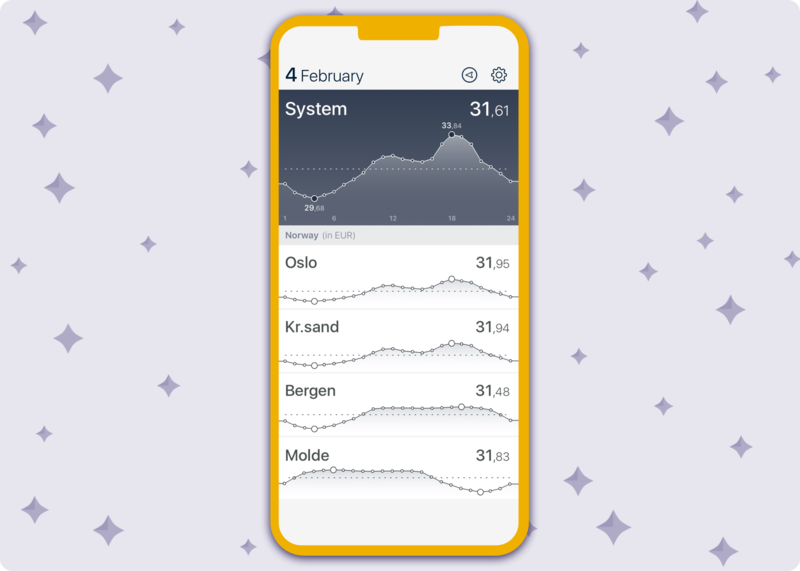 Targeted to match the release of the first Nord Pool desktop applications, the Nord Pool mobile app aimed to provide users with their most requested mobile functionality – check the daily published prices. Through the course of a week I went through a process of ideation, examining competitor’s offerings and gathering feedback and knowledge collected from the desktop projects. Despite competitor’s offerings being table-focused, I felt the simplicity of what users were looking for warranted a streamlined design, focused on the prices and their relationship with time. I took inspiration from calendar apps, and applied a timeline navigation as core to the application – as you scroll through the list you move through time, with the prices pointing at the date displayed on the top menu. You can jump to specific dates using a calendar view, and drill down on a specific time history by tapping on it. 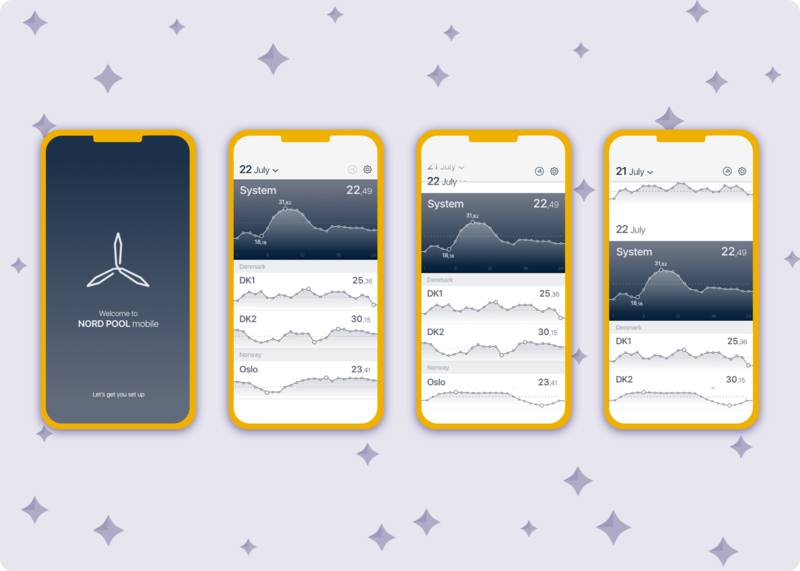 It was designed over the course of 3 weeks (from concept to polished visuals) as a native iOS app, with older devices in mind – and updated to iPhone X for the purpose of this portfolio. It is a simple application that answers a specific need and is designed to convey that simplicity and focus. 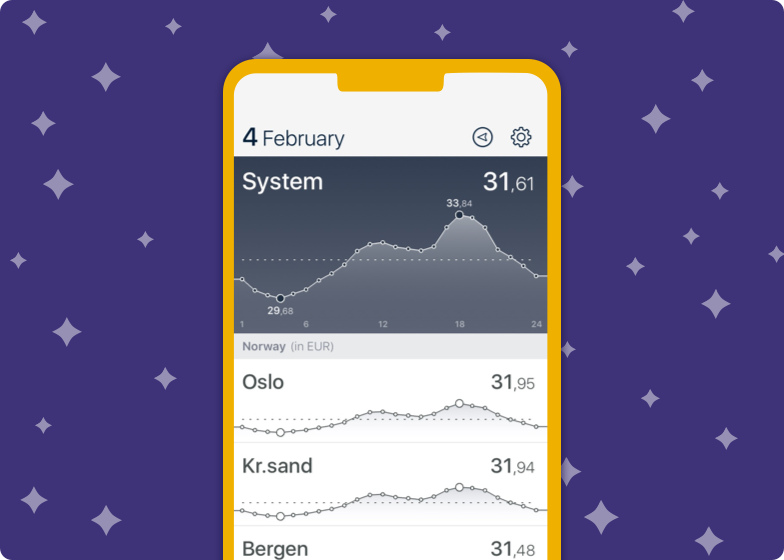 I believe this focus is why it has been very well received in the Northern Europe markets – it has been available on the App Store for a few years.